Do I get my safety program in paper or electronic version? You receive your safety program in electronic form not hard copy. All documents are created in Microsoft Word so you can edit them to suite your specific requirements. The templates are delivered via download link. The custom programs are sent to you via email or download link depending on the size upon completion. How long does it take to get my documents after I purchase them? Templates are delivered immediately upon purchase by way of a download link. The custom programs are delivered usually within 2 business days from the time we get your customization requirements form back from you. This form is delivered to you upon purchase of the custom program via download link. You fill out the customization form with your company details and send it in. How many copies can I make of my safety program? You can make as many copies as you need for your specific company. There is no additional cost per copy. Can I edit the safety programs & documents I purchase? You can edit them to suit 1 company (the purchasing company). You cannot edit them to resell them to other companies as your own as they are protected under the copyright laws. Do the templates include everything I need for a compliant safety program? YES, however these programs do not include Job Specific – Safe Job Procedures since they must be specific to your jobs and completed by your employees (as per legislation) but you can email us a list and we can email samples of the ones you need to give you a head start or you can access any of them at any time by becoming an Advantage – Products member. Our Safety Programs and documents are designed to pass the requirements. We have gone through many audits, prequalification services questionnaires and OHS legislation to ensure you have what you need. (see NOTE below for trucking) There are only 2 3rd party prequalification services that require specific wording in their documents and these are ISNetworld ® and Avetta.The others are not so particular about specific wording only on ensuring you have the programs themselves. All our programs are designed to pass COR/SECOR, ComplyWorks and CanQual so if you need COR/SECOR, ISNetworld® and ComplyWorks then purchase the ISNetworld program and it will meet all the other requirements. NOTE: If your company is a trucking company you must purchase the Trucking Program not the General Safety Program as the Trucking program has specific requirements from National Safety Code and the Transportation Audit included. If you have any questions about this just give us a quick call (afternoons are best) or email us any time and we would be happy to go over these with you in more detail so you know you are getting what you need. Does the program include all the forms I need? All the programs include the forms that are in our forms library so not only do you get every form you need, but some forms have several versions and you just pick the one you like the best. You can also change any of the forms to suite your company dynamics. Which safety program templates pass COR/SECOR? All of our General Safety Programs pass COR/SECOR audit requirements. Which safety program passes ISNetworld requirements? All of the Canadian Best Practices and SafeWork Practices PASS the ISNetworld® requirements for the Canadian Questionnaire and the RAVS. (see NOTE below for trucking company) We have gone through all the questionnaires and the RAVS® requirements in ISNetworld® to ensure the programs pass. 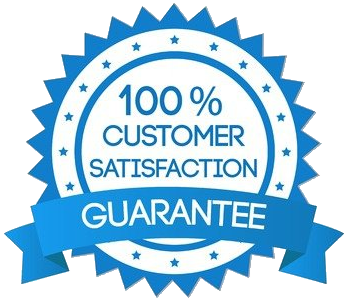 If they make changes to their requirements since our last review and you need something that isn’t included then all you have to do is call us or email us and we make updates to your programs absolutely free of charge. Which safety program template passes Avetta requirements? Choose the COR/SECOR Safety Program and Best Practices to ensure that your program passes Avetta’s requirements. If you need others we can assist you with that. We have gone through all the questions to ensure the programs pass. If they make changes to their requirements since our last review and you need something that isn’t included then all you have to do is call us or email us and we make updates to your programs so they do pass, absolutely free of charge. Which safety program template passes ComplyWorks? Our General Safety Programs are designed to pass the ComplyWorks requirements. (see NOTE below for trucking company) We have gone through the questionnaires to ensure you have what you need. There are only 2-3rd party prequalification services that require specific wording in their documents and these are ISNetworld® and PICS. The others are not so particular about specific wording only that you have the programs themselves.All our programs are designed to pass COR/SECOR, ComplyWorks and CanQual so if you need COR/SECOR, ISNetworld® and ComplyWorks then purchase the ISNetworld® program and it will meet requirements for ComplyWorks as well. If you need PICS, ComplyWorks & COR then purchase the PICS program and it will meet the requirements of the others (ComplyWorks & COR/SECOR). NOTE: If your company is a trucking company you must purchase the Trucking Program not the General Safety Program as the Trucking program has specific requirements from National Safety Code and the Transportation Audit included.If you have any questions about this just give us a quick call (afternoons are best) or email us any time and we would be happy to go over these with you in more detail so you know you are getting what you need. I have a Trucking Company. Does the General Safety Program Work for Trucking Companies?